Tape(2 pt. ), Packing(2 pt. ), Rose red(25 pt.). Birthday, Business, For her, For young lady, Gratitude, I Miss You, Wedding Day, Wedding flowers, With love, Аnniversary. 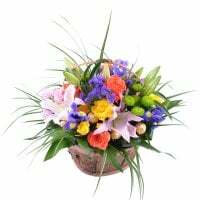 Along with your order delivered free of charge packet Krizala extending the life of flowers. 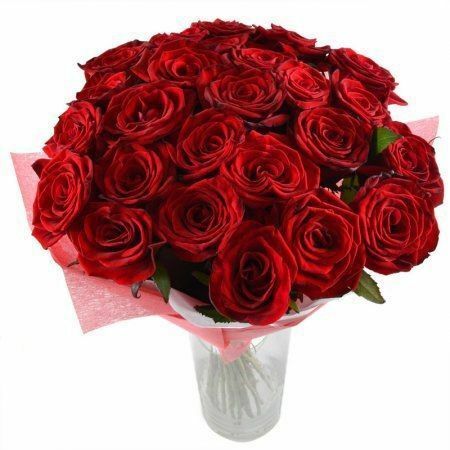 Delivery is performed on the company's flowermobile company UFL equipped with air conditioning. You can add a postcard with the wishes, signature. 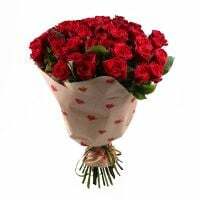 And even order a bouquet anonymous! 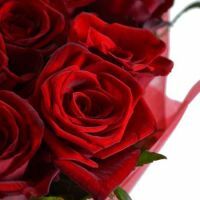 New: ordering a bouquet you will have access to the monitoring of the courier and you can see in real time as he arrives at the delivery address! 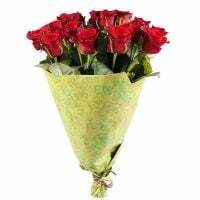 Ingredients: 25 (26) red roses. Manager response: Hello David! Thank You for Your feedback!We are glad to bring happiness to people you love! First time using this site! The steps to order something was very easy! 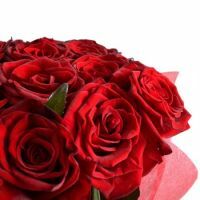 Flowers delivered on time the same as the picture that i ordered! 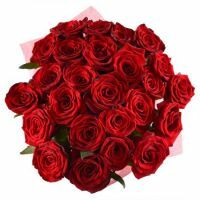 Manager response: Dear Jan, thank you for your message. Sure we will rework and fix some issues, sorry for inconvenience. your delivery man is pure catastroph. 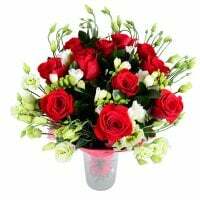 late, overlate, which has bring us big problems suring the matter of needs your flowers to my Mum-in-law 60th birthday party. which has been destroyed with this stupid agent/partner at front. not acceptable service in KHARKIV !!! in both delivery jobs we got 2 of 2 times local escalation!!!! Manager response: We are very sorry that you were unhappy with the execution of the order. 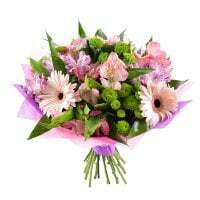 The recipient changed the address for delivery several times within 4 hours and the bouquet was delivered to the specified address by the recipient personally. Manager response: Thank you for your order, Frankie. We will be glad to further cooperation with you.